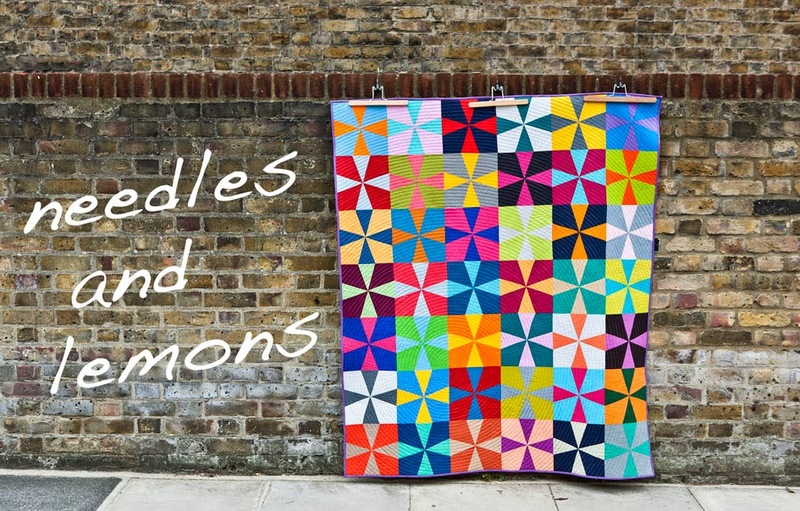 I came to the UK for a visit some 15 years ago and saw a quilt in a craft shop in Cornwall and I absolutely fell in love with it. I could not afford to buy it but decided there and then that I would one day make a quilt. Sadly it took me until this year to realise this plan. In April I went to the Quilt exhibition at the V&A museum and took that opportunity to make my first quilt. Little did I know that this was going to turn into an addiction. I love everything about quilts; the buying and feeling of the fabric, the planning, the cutting, the sewing, the basting (that not so much) and the quilting itself. I hand quilt all my quilts which is why my output is rather on the slow side as I do have a full time job to attend to (well that does afford me all the lovely fabric). This is my first blog and I am rather exited and a bit apprehensive about it as I wonder who one earth is going to read it. But, I guess I'll find out. So far I have finished this year five quilts, a sixth one needs binding and two more tops that are rather on the large side are awaiting basting and quilting. At first I wondered what purpose a smaller quilt could possibly have but then it dawned on me that they could be used for babies (hence baby quilt....dooh..). So I thought to make one for my friend Angela who was expecting her first baby. As I didn't know if it was going to be a boy or a girl I thought to make it gender neutral but by the time I finished it I had to admit that this was not gender neutral at all. What was I thinking. On top of that it turned to be a boy (the gorgeous Lucas) and that gave me a wonderful opportunity to make a new one. 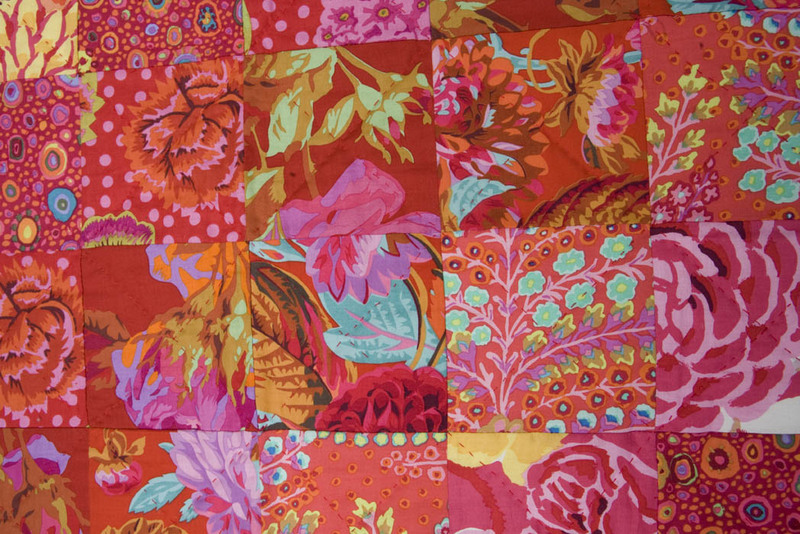 The fabric for this quilt is all Kaffe Fassett and Philip Jacobs (Westminster Fabrics). I chose the fabric so they blended into each other and arranged them so to that each fabric is repeated on the diagonal. This gives the quilt consistency amidst all the luxurious colours and busy patterns. The back is red/white striped and for the binding I chose a dark green with little stars that I think frames the quilt wonderfully. 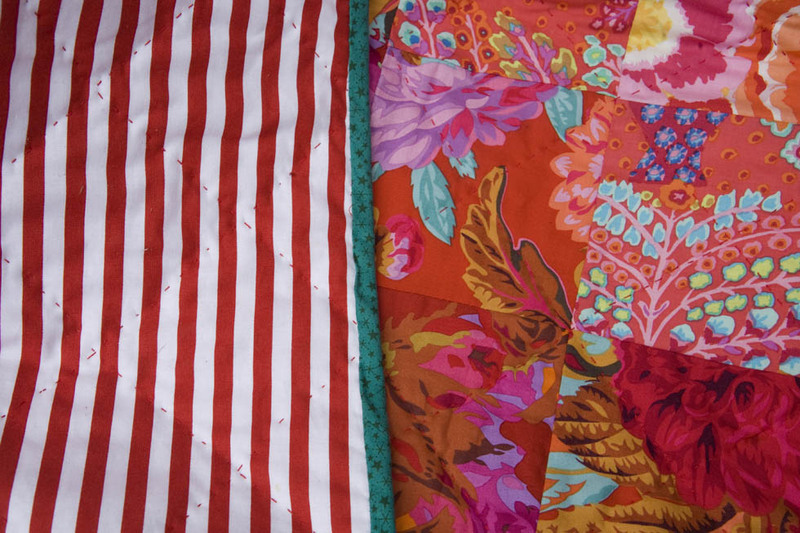 All fabric was bought at my local quilt shop Tikki Quilt and Patchwork. 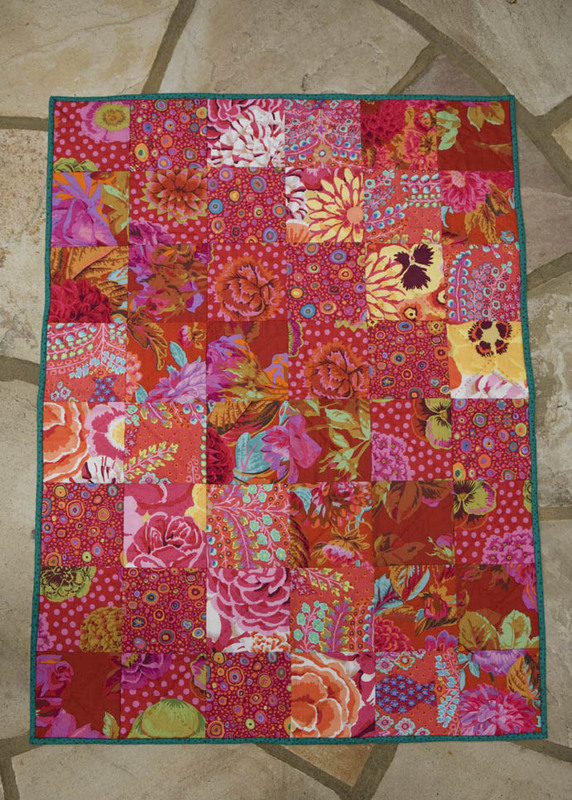 The owner Tina has given me wonderful advice since I started quilting. Fabric: Kaffe Fassett and Philip Jacobs plus an unknown for the finding and backing. Well so this is No 1 done ! I can't believe you just started quilting. Your work is beautiful. I fell in love with quilts in 1970 and didn't make my first until 2003! But, addicted I am, now!